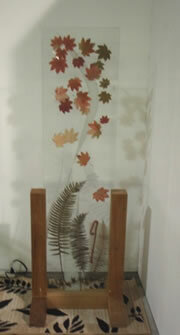 The application of Botanical Impressions onto custom furniture is an excellent application of bringing nature indoors. Below are two examples of this. The first a folding shoji screen, the second a curtain panel. 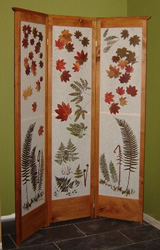 Shoji Screen by: Tim Ewart Designs. As you may have noticed in the gallery section, I have a large selection of prints. You'll find variety of size and Botanicals to choose from. On the products below, botanical designs have been printed on glass (opaque or translucent) or printed on a vinyl film and applied to the glass. 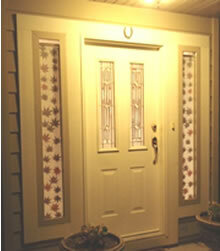 This application can be used on windows, doors, glass elevators, shower enclosures, or as room dividers. 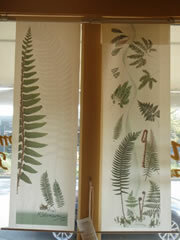 Which home decor piece would you like botanical impressions printed on? Check out our products or gallery pages to get some inspiration.